Climbing the corporate ladder has gone the way of the Dodo. There’s genuine concern that employees no longer have faith investing their prime years in large corporations that bankrupted, decimated retirement plans and left the economy in shambles back in 2008. Now more than ever, the trend among those with some gumption and likely a small degree of mania is to abandon or circumvent the corporate world altogether in favor of smaller dividends but greater autonomy. It’s never been a better time to roll up one’s sleeves to make the world one wants to live in. And there’s not a place more ideal to do so than in Boston. 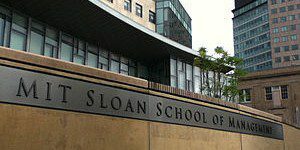 Here are three Boston metro schools that offer entrepreneurship MBAs to help you carve out a business path in opposition to that of the nefarious corporate ogre. E&I students also take part in the MIT $100K Launch and the MIT Clean Energy Prize. D’Amore-McKim has a plethora of clubs for students interested in entrepreneurship led by esteemed E&I faculty: The Entrepreneurs Club, the Center for Entrepreneurship Education, the Social Enterprise Institute, the Northeastern Center for Family Business and the IDEA venture accelerator. The Arthur M. Blank Center for Entrepreneurship emphasizes “global collaborative research initiatives.” The Butler Venture Accelerator Program, Rocket Pitch and Mass Challenge are valuable resources for student-run businesses. 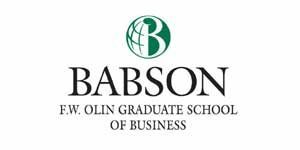 The Babson Entrepreneurship Forum hosts guest lectures from leading entrepreneurs.